^ 1.0 1.1 1.2 1.3 1.4 1.5 1.6 1.7 1.8 NowData - NOAA Online Weather Data. National Oceanic and Atmospheric Administration. [2011-12-14] （英语）. 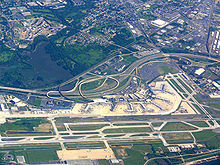 ^ Station Name: PA PHILADELPHIA INTL AP. National Oceanic and Atmospheric Administration. [2014-03-13] （英语）. ^ WMO Climate Normals for PHILADELPHIA/INT'L ARPT PA 1961–1990. National Oceanic and Atmospheric Administration. [2014-03-11] （英语）. ^ Wood, Anthony R. Snow total at airport gets a boost A new measuring station and technique likely contributed to two 8-inch-plus readings. Philly.com. The Inquirer. [2014-06-10] （英语）.